KitKat has been out for several months. Unfortunately, most Android users haven’t been able to use KitKat at all. After a series of recent KitKat rollouts, Android users around the world have been able to install the 4.4 upgrade on their handsets. KitKat is now available on popular devices like the Galaxy S3 and S4 all over the world. The recent rollout has caused KitKat to jump to 8.5% market share. KitKat had 1.8% usage in February 2014, so it’s really started to become popular in the last few months. Meanwhile, older versions of Android are really starting to drop off. 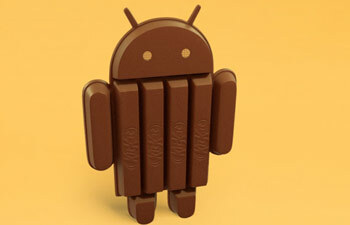 Froyo is used by just 1.0% of Android devices while Ice Cream Sandwich has dropped to 13.4%. Did you receive the Android 4.4 OTA update recently? My 2 year old Galaxy S3 on Telus recently received the update, so I wouldn’t be surprised if this market share percentage doubled between now and the end of May.